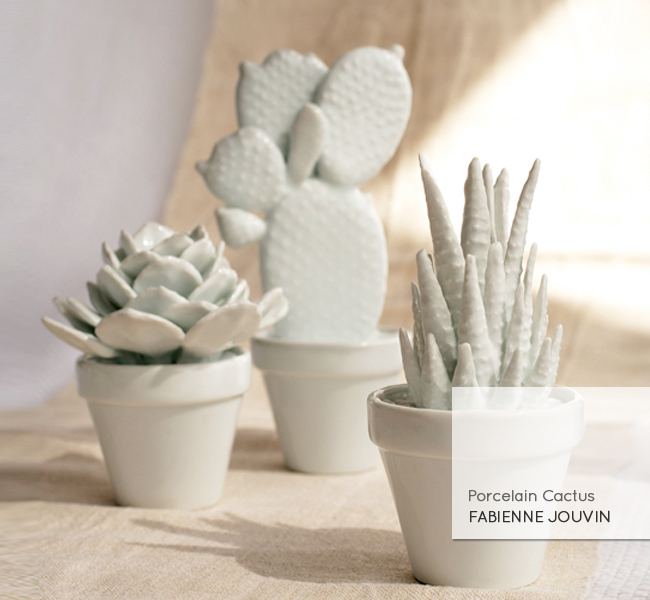 Porcelain cactus - the perfect gift for the black thumb in your life! The only thing these babies will need is a little dusting every now and then. genius. not only will they live forever, they also won't accidentally prick me like live cactuses do. i dont like cactuses, but i love these! OH MY! I am in love! These are awesome! fabulous, so smart and pretty! Okay, well I have to have these. I'm out of a job but would sacrifice lunch for one of these lovelies. These are so great! I'm definitely a black thumb!